In Part 2 of our recommended watching series, we include a wide range of contributions from art, music, and social issues. Let Elizabeth Gilbert, John Cleese, Sunitha Krishnan, Amanda Palmer, Eve Ensler, and more great minds inspire you to be creative and to work toward a better society. Although we LOVE to watch those viral videos (cat videos and Carpool Karaoke, anyone? ), maybe you would like to change it up and watch something inspiring, uplifting, and educational? In this two part post, we will provide you with some of our best recommendations. This week in Part 1, we focus on commencement speeches, education, business/leadership, and science/health. Have a listen to Neil Gaiman, Amy Cuddy, Sir Ken Robinson, Temple Grandin, and more motivational leaders speak about their passions. 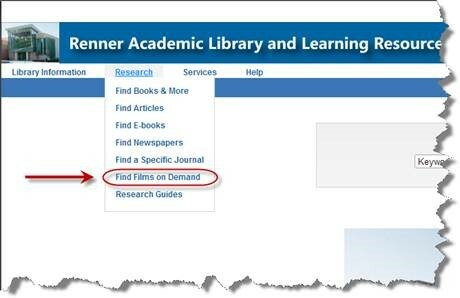 On the library’s webpage under Research, then click on Films On Demand. You will need your usual library card number login to access the service from off-campus. Careers & Job Search, and Guidance & Counseling. Watch this video for a general overview of this new and exciting service! Starting research with a very broad topic can feel overwhelming, since there’s so much to learn and so much to cover. Therefore, it’s usually best to zero in on a particular aspect or question that you can cover in more depth. If you’re still figuring out how to narrow your topic, Gale’s Expanded Academic database can help you see the subdivisions within a topic and decide which one you want to focus on. Watch the video to see how! In Expanded Academic, you are searching for general topics, not specific articles, so start off by searching for a broad topic (for example, global warming, gun control, autism), and let the database do the rest of the work. If at first it doesn’t recognize the topic you searched for, try a synonym or a broader version of the topic. Use the number of articles next to each topic subdivision to see how much has been written about it. When you get to a list of articles, use the links to different source types (Magazines, Academic Journals, News) to see the rest of the results.